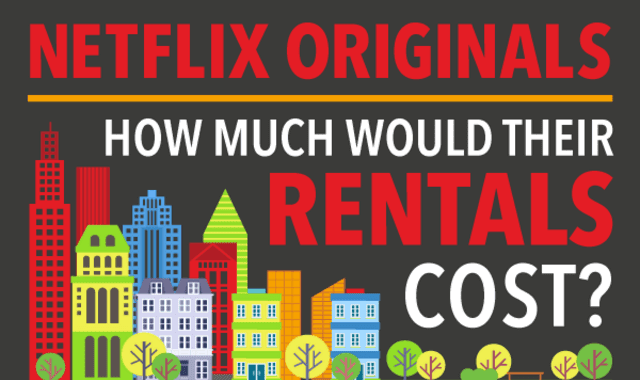 Netflix Originals: How Much Would Their Rentals Cost? #Infographic ~ Visualistan '+g+"
The rentals in our favorite TV shows may either fill us with envy for their designer style or make us glad for our cozy rental. Though the lives of TV characters may be much different from our own lives, we still wanted to look into how much they might be paying to rent their homes just to see if we could afford some of those sweet digs. Here are the rental costs from some of our favorite Netflix originals.